1/1/2013 Philips Dynalite Launch New EnvisionWeb Software! 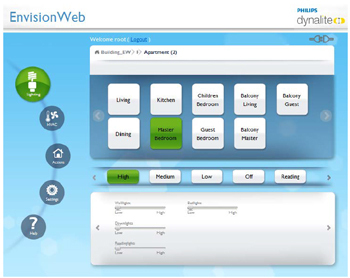 Philips Dynalite has just launched their new EnvisionWeb software that can enable the control of a Dynalite system from any Internet capable device. The Web based tool gives simple control of your buildings lighting, HVAC, Blinds and other associated equipment through an easy to use graphical interface.